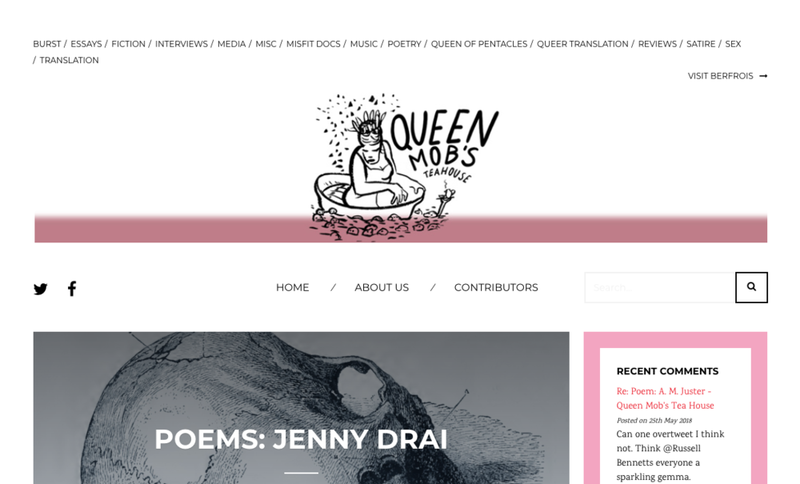 Queen Mob’s Teahouse is 'an international online literary journal dedicated to writing, art, criticism—weird, serious, gorgeous, cross genre, spell conjuring, rant inducing work'. This banner was made for their homepage. The website is closely related to Berfrois.